The Leona Latin dress is both classy and dynamic. The crepe dress with a dipped hem features ruching on the back and both sides, with a large split centre back. The lace top gives an illusion of a capped design, but is attached at the neck and arms, with an open back for ultimate movement. 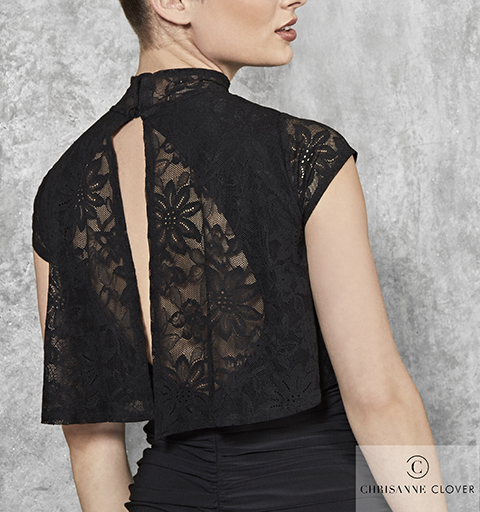 Made from CHRISANNE CLOVER Luxury Crepe and Stretch Lace. Available in 4 sizes. You can also Personalise It by special ordering this item in any of the exclusive Luxury Crepe colours.